Educational Memorial Programs can address ethical concerns expressed by students, faculty and the public, and further promote animal welfare. Using animals received through an EMP is a valid alternative to using animals that were euthanized for reasons other than terminal illness. Many of the animals used in veterinary education are obtained from Class B dealers, including biological supply companies. Class B dealers are licensed by the United States Department of Agriculture (USDA) to purchase unadopted animals from animal shelters, other Class B dealers, auctions or private individuals who have bred and raised the animals themselves. A minority of Class B dealers can then legally resell these animals to research and educational institutions. Serious concerns have been raised regarding the procurement, transportation, housing, and treatment of animals by Class B dealers. Although notoriously difficult to obtain, there is documented evidence that some Class B dealers have bought or sold stolen family pets, as well as fraudulently answered "free to good home" ads with the intention of selling the pets to research and educational facilities. Animal shelters cannot operate effectively without the confidence of the communities they serve and must be seen by the public as a safe haven for lost, stray, or abandoned animals. The relinquishment of impounded companion animals from public and private shelters to facilities that use live animals for research, testing or educational purposes is a betrayal of public trust and the implicit contract established between humans and companion animals. Any animal involved must have been humanely euthanized due to either mortal illness or injury, or because no suitable home could be found for the animal within a reasonable time. Second, animal cadavers should be transferred only when the animal's former owner has been informed of the policy of giving euthanized animals to educational and research institutions and has given consent. If the animal was received as a stray with no known owner, it must first be held the appropriate number of days as required by ordinance for an owner to reclaim prior to being released. Full public awareness of any animal transfer policy is vital to maintaining public trust in animal shelters. Regardless of owner consent, however, shelters not wishing to supply animal carcasses to institutions should not be compelled to do so. Third, such transfers should not involve elementary, middle or high schools. The HSUS opposes the practice of animal dissection in pre-college classrooms for numerous reasons. At the college level, we acknowledge the need for animal cadavers in veterinary training, for instance, but emphasize the importance that cadavers come from humanely euthanized animals and that no animals be raised or killed specifically for use in dissection. Fourth, the transfer of animals from shelters should not involve any exchange of money. This condition applies to the shelters themselves as well as any middlemen who transport the animals to the educational or research facilities. So-called "surplus" dogs and cats are a result of the tragic pet overpopulation and millions of dogs and cats are euthanized yearly in U.S. shelters. When money can be made in dealing in their carcasses, it can give the perception that there may be less incentive for addressing overpopulation or that the shelter would rather gain from this tragedy than spend the money necessary to solve it. The animals are being transferred for the purpose of receiving medical treatment that is beneficial to the individual animal involved. This would include spay/neuter procedures performed on unaltered animals. Second, the medical treatment the animal receives is provided with the same standards of care as that provided to any other animal treated at the training institution, including when students are involved in the procedures. Third, after receiving treatment, the animals are either adopted from the veterinary schools or veterinary technician schools, returned to the animal shelter, or transferred to a rescue group for adoption. b. Transfers should not involve any exchange of money. Finally, when the animals or animal cadavers are transferred to an educational institution and the above criteria are met, it should be explained to students that the animals are from an ethically sound source. 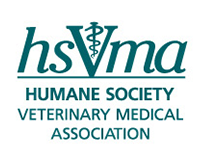 There is concern among some that the euthanasia of healthy animals in veterinary education is inconsistent with the foundation of companion animal practice and may lead to less compassionate veterinarians. Some have expressed concerns that the current veterinary curriculum desensitizes veterinary students to animal pain and suffering. An Educational Memorial Program provides the opportunity to enhance the moral development of our future veterinarians. 1. Title 9 Code of Federal Regulations, Chapter 1, Subchapter A - Animal Welfare. Animal and Plant Health Inspection Service, USDA. 1994 Ed. 2. Covance Inc. (Class A dealer) 210 Carnegie Center Princeton, New Jersey 08540-6233. Email correspondence with authors. "Re. Purpose-bred canines." January 2001.